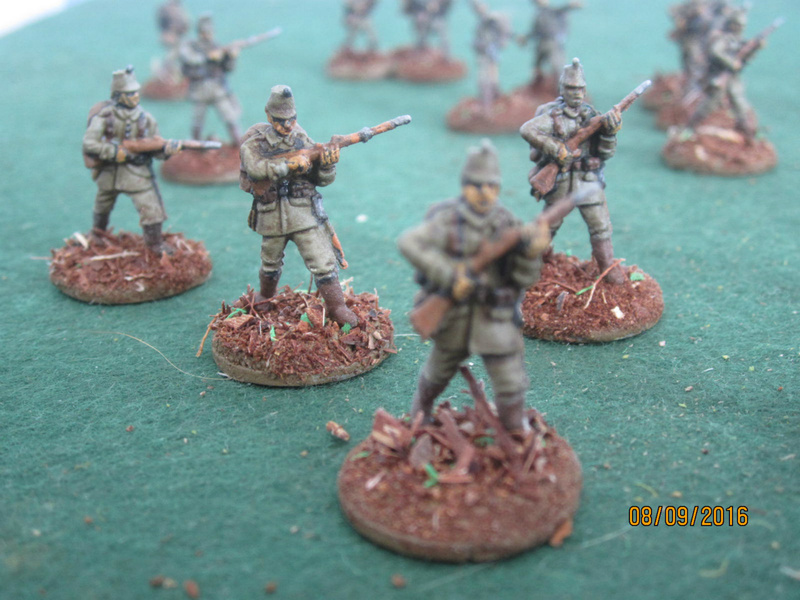 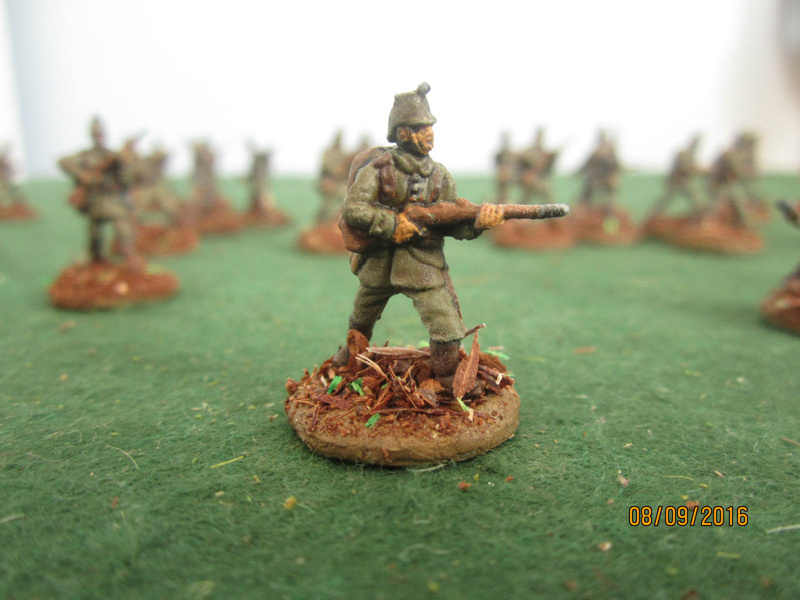 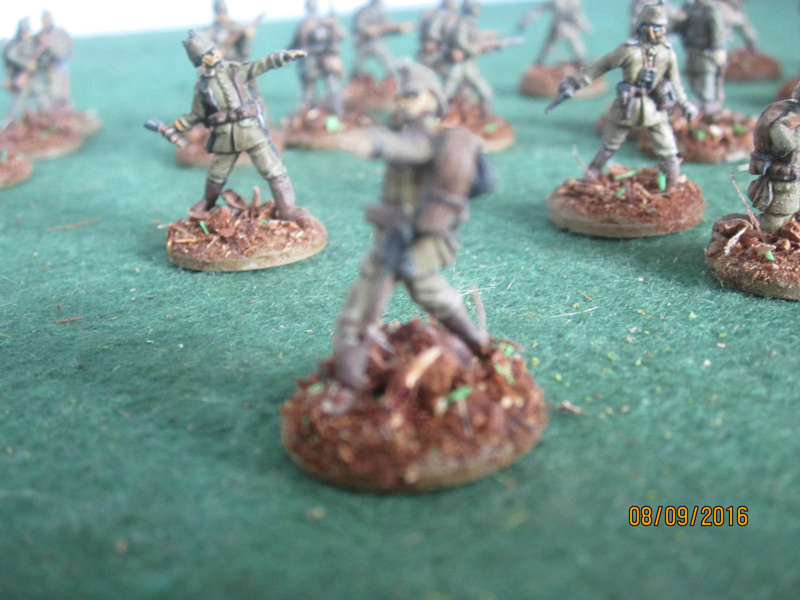 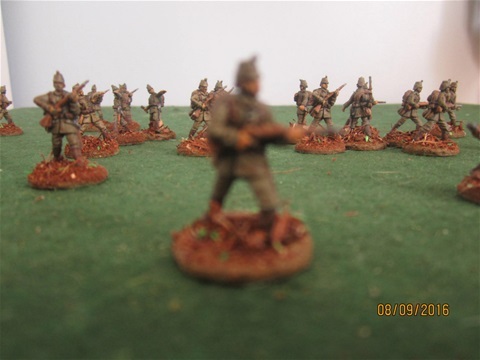 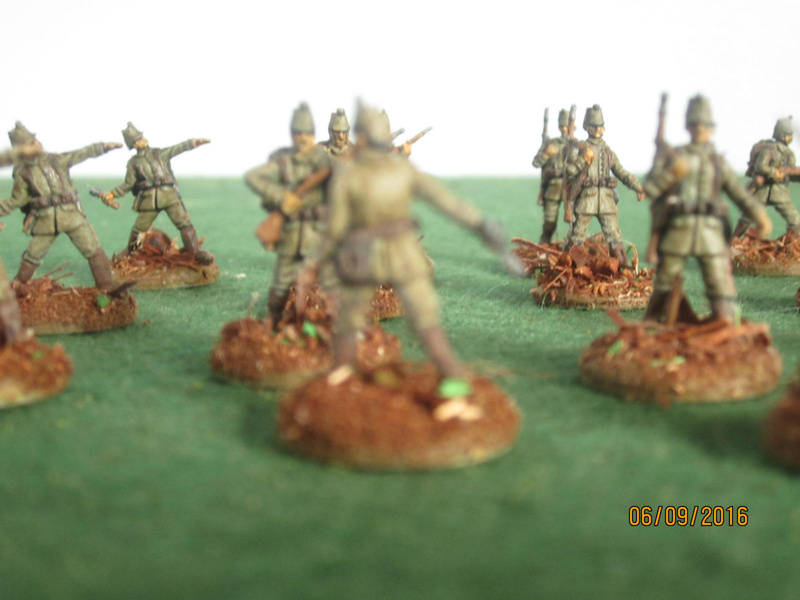 Jägers were the light infantry of the German Army, and as was often the case with light infantry they were an elite. When war broke out in 1914 they initially fulfilled their usual role of scouting and operating in advance of the main army as it moved forward, but as the armies became static, anchored to their trench systems, the need for such troops diminished and they became specialist mountain, machine gun or bicycle units, or simply became indistinguishable from regular infantry. Nevertheless in the early months of the Great War they presented a picture quite distinct from the rest of the army. 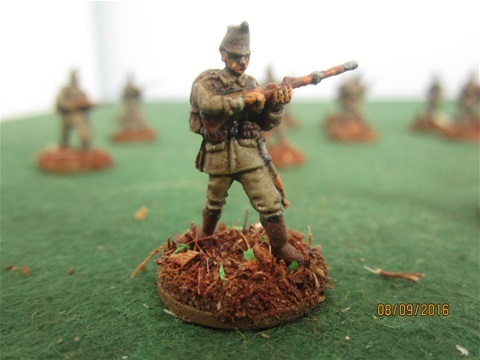 By 1914 the German Army wore a relatively practical and comfortable uniform, and in large measure the Jäger wore the same, although in a slightly different colour. 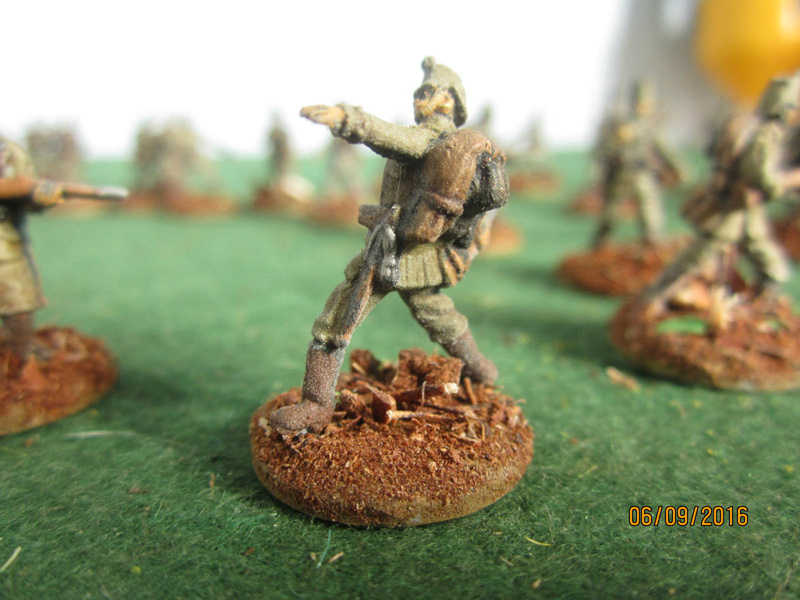 The most obvious difference to the casual observer was the shako, which was of black leather covered for concealment when in the field. 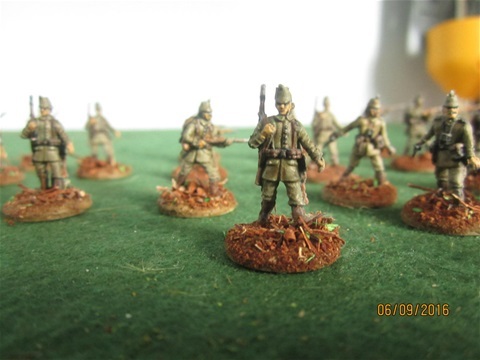 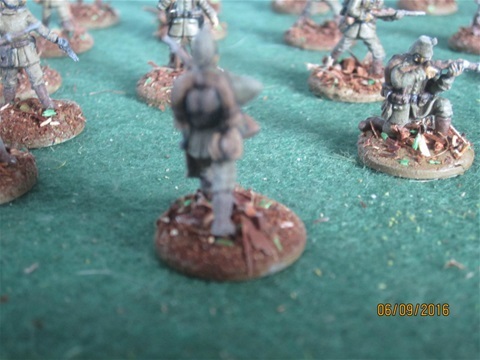 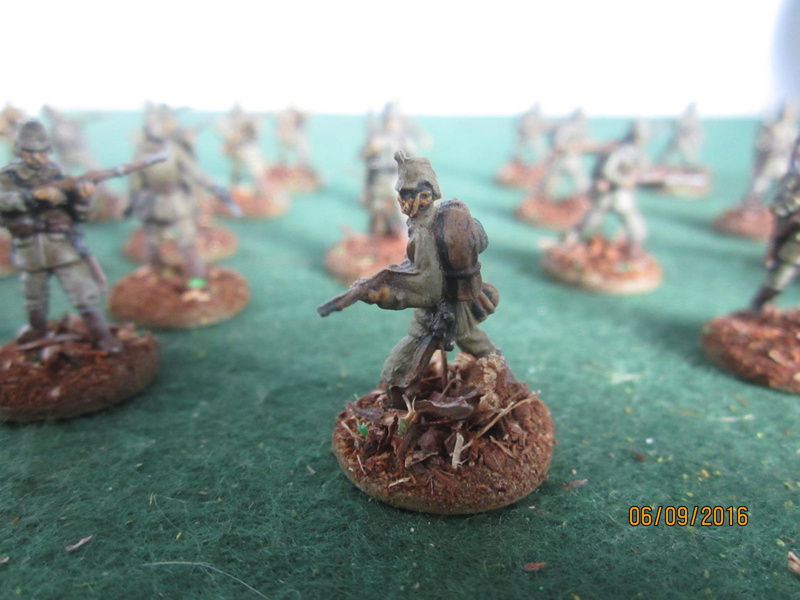 The rest of the uniform – feldwaffenrock, trousers and marching boots – are as per the rest of the infantry. The cuffs on the tunic are of the Swedish pattern on these figures, which was very common.